All eyes on Friday were once again focused on the U.S., whose strong job growth data caused more gains for crude, with West Texas Intermediate ending its session up $1.47 to $55.26 per barrel (a weekly gain of nearly 3 percent), and Brent rising $1.91 to $62.75 per barrel (on track for a weekly gain of about 2 percent). 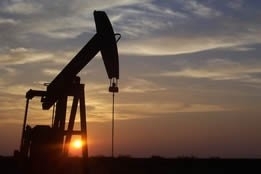 Friday's performance was aided by data showing that American energy firms this week reduced the number of operating oil rigs for a fourth time in the past five weeks, by 15, bringing the total count to 847, the result of companies fulfilling their objective of spending less on new wells in 2019. Additional support was provided by China's state news agency Xinhua, which reported that the country's trade delegation claimed to have made "important progress" in the latest round of talks with the U.S.
Bloomberg noted that crude's performance to date in the New Year is remarkable in that "after fears of a global oversupply tipped Brent into a 42 percent nosedive late last year, the commodity has already regained almost half of that ground." But as usual, some traders felt compelled to issue warnings that everything could go south in a hurry: John Kilduff, founding partner at Again Capital, told Bloomberg Markets AM that given the lack of a rally due to the "chaos" in Venezuela and continued negative economic data from Asia, "it is my sense that prices appear to be peaking here." He went on to say that all-out U.S. production will contribute to prices being "somewhat range bound," but that "a return to sub $50 oil isn't out of the question." Although Kilduff's comments are fairly in line with an analytical community that fears the prospects of a global economic slowdown and worries that rampant production from countries such as the U.S. will lead to another inventory glut (and plunging prices) some experts think an even bigger crude rally lies ahead. Frank Cappelleri, chief market technician at Instine, pointed out that the energy ETF (XLE) on Friday posted its biggest monthly gain since 2015, buoyed by oil's best January since 1983 - and that this kind of advance could drive an even bigger crude rally that may spill over into energy stocks. He remarked, "Crude oil is up about 20 percent for the month which is kind of rare - It's only happened 11 other times since 1983. "At the same time, it's been up the following month seven times."